Last week, I had the opportunity to participate in a ceremony at the Centers for Disease Control and Prevention (CDC) announcing their Public Health Informatics Fellowship being recognized as a Registered Apprenticeship by the Department of Labor (DOL). This potentially sets the stage for public health informaticians to become a DOL standard occupational code, which means they would appear in DOL labor statistics. This is good news, and hopefully will lead to DOL recognizing other types of informaticians in their statistics. Public health informatics is another area of the larger biomedical informatics field that provides opportunities for physicians and others. 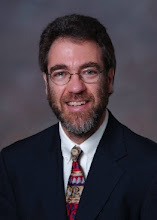 My name is Dr. William Hersh, and I am Professor and Chair of the Department of Medical Informatics and Clinical Epidemiology at Oregon Health and Science University in Portland, Oregon. I attend this meeting representing the 4,000 members of the American Medical Informatics Association, the professional society for health-related informatics, and bring words from our President and CEO, Dr. Kevin Fickenscher, who unfortunately could not be here today. Today, AMIA recognizes the tremendous accomplishment of the CDC's Scientific Education and Professional Development Program Office in their collaboration with the Department of Labor. The establishment of CDC's Public Health Informatics Fellowship Program (PHIFP) as a Department of Labor (DOL) Registered Apprenticeship and the laying of the foundation for a standard occupation code for public health informaticians represent a very significant milestone in the decade-long effort by AMIA and its members and leaders to address the crucial issues of informatics workforce development. The mere fact that the Department of Labor may soon give informaticians a workforce code is very encouraging. The designation will help the nation realize its ambitions for supporting a fully-interoperable, data-driven learning healthcare system. Key to this ambition are informaticians of all stripes, not only public health but also clinical, nursing, and even bioinformatics. In 2001, I and more than 400 AMIA member experts and thought leaders gathered for the organization's Spring Congress meeting here in Atlanta to develop a national agenda for public health informatics. The resulting 74 recommendations emerged with themes reflected in the CDC/DOL's decision. Our stakeholders recognized the need to be engaged in coordinated activities related to public health information. They also forecasted the need for informatics training throughout the public health workforce. A decade later, AMIA experts revisited the national agenda at the 2011 Spring Congress meeting, where we came up with recommendations supporting the need for informatics workforce development and underlining informatics crucial role in the future of public health and healthcare. Many of us in AMIA are involved in complementary efforts in workforce development in other areas of informatics. I myself have had the opportunity over the last two years to play key roles in the health IT workforce development programs of the Office of the National Coordinator for Health IT, both training professionals in clinical informatics as well as developing the national health IT curriculum focused initially on community college programs but now freely available to the entire world. Public health informatics is embedded in these efforts, as those in clinical informatics must comprehend how the public health system can benefit from our federal investment in adoption and meaningful use of electronic health records. This is exemplified at my institution, OHSU, where a CDC public health fellowship graduate serves on our faculty and teaches a course in public health informatics to a predominantly clinical informatics student body. AMIA members will continue to lead the national discussion on informatics workforce development and on what is needed on the front lines of public health. Together with leadership from the federal government, NGOs, public health organizations, associations and specialty societies and business we know informatics professions will grow. We are encouraged that the CDC/DOL's "public health informaticians" designation can open the door for other informatics-related designations to follow.